Already Registered & Missed a Participant Email? PLEASE NOTE:This year we will NOT pass out water bottles at the International Event. As noted in the email, you must bring your own -- enough for at least 2 liters of water. M osaic gets WILD AND WONDERFUL as the 21st annual Mosaic International Event visits the Potomac Highlands of West Virginia! Located just 2 hours west of Washington D.C., the Potomac Highlands provides mountains, vast tracts of national and state forest, and wilderness areas where wildlife, wetlands and rushing streams abound. With huge rock formations to hike and climb, and beautiful rivers to play in and around, the Potomac Highlands is an unrivaled destination for outdoor adventures. There will be plenty of opportunities to get wild, whether hiking up a mountain, by a river or through a historic tunnel. 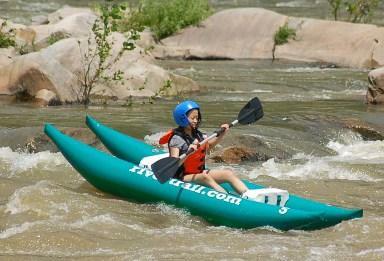 Wonderful vistas abound and you’ll have opportunities to get wet in canoes, kayaks and tubes. Have a need for adventure? Check out the Via Ferrata or Canopy Tour, go for whitewater fun on the Shenandoah River, or stay for the Post-trip to the New River Gorge. Want to relax? You can go on an easy hike, go horseback riding, or just spend a day in camp. With all that is offered, do you want to know who, what, when, where and why? Well, wonder no more -- just keep reading! WOO HOO! This year we will be staying at picturesque Camp Rim Rock, a girl's camp in Yellow Spring, WV, located between a bend of the Cacapon River and a large ridge. The camp is clean and well kept, with 2 solar heated pools, a new small lake and beach to play in, and plenty of activities to keep us busy. Of course there will be plenty of opportunities to meet old and new friends, celebrate Shabbat, and just relax and enjoy. So many choices! You can hike, bike, tube or kayak down the river, take a zip line canopy tour, or beat the heat while exploring a cavern. And there is the return of last year's popular and exciting activity, the Via Ferrata. What's a Thrill-Kat? 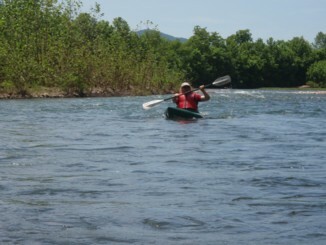 Find out as you tackle whitewater on the Shenandoah River. Or you can pit your nerves of steel, catlike reflexes, and muscles of iron against other Mosaic members during field day. And that is just the tip of the iceberg, or rather, Ice Mountain! After the sun goes down, we'll mingle and schmooze, learn new dances, and listen to some great music. We'll celebrate Shabbat and Havdallah with beautiful candlelight ceremonies, take a night hike, do some stargazing, and enjoy the nightly Mosaic campfire. Before heading to camp, take a few days to experience Washington, D.C. Like most major cities, there is too much to see in only two days, but our wonderful hosts are looking forward to sharing some of the highlights of their wonderful city. Don’t want the fun to end? Enjoy a couple of more days, and a lot more adventure, with your Mosaic friends on the white water rafting and adventure Post-trip! The highlight will be a full day of rafting on one of the best whitewater rivers in the country, but you will also have opportunities to visit a real ghost town, hike past a gorge, take a canopy tour, or even play paintball. UNWRAP YOUR WILD AND WONDERFUL SIDE IN WEST VIRGINIA! Registration is now closed. See you in 2012! WHY: Fun, outdoor skill-building and meet other Jewish adventurers from around the world who love the outdoors! The event will include hikes of various lengths and difficulty, kayaking and other water activities, the exciting Via Ferrata, and a variety of in-camp activities such as a field day, swimming, and tennis. Nightly programming will include mixers, dances, Shabbat under the stars, campfires, and more! All meals are included, as are cabin bunkhouse accommodations.